Get 10% off + 30 Days Free. Terms Apply. Founded in 2005 and headquartered in Arizona, LifeLock offers identity theft protection services that include public records monitoring, financial account monitoring, and credit monitoring. LifeLock services more than 4.4 million members and provides identity theft protection to individuals, families, and businesses. According to LifeLock's website, "data breach criminals" often have the abilities to commit identity theft long after a breach occurs. LifeLock will send fraud alerts to customers of any potentially suspicious activity and will help address identity theft victim problems. Using the promo code "BestCom," Best Company visitors can get 10% off a LifeLock protection plan. Terms apply. LifeLock provides several identity theft protection services in an effort to catch identity theft and identity fraud before it happens. LifeLock customers will receive credit monitoring services from all three major credit bureaus (Experian, Equifax, and TransUnion), internet scanning, court records monitoring, social security number monitoring, and financial account monitoring. Identity theft can ruin everything from credit scores and credit reports to taxes and savings accounts. LifeLock offers multiple identity theft protection services to help provide each customer with the protection and security they are looking for. In the event that a customer becomes a victim of identity theft, LifeLock offers a number of recovery services to help restore the customer's identity to pre-theft status. The company provides limited power of attorney/time with restoration specialists and lost wallet protection. LifeLock also assists with financial, medical, criminal, and tax identity recovery. For a fee of $300, LifeLock will also work with customers with pre-existing identity theft conditions. LifeLock offers up to $1 million in its million dollar protection package, which covers up to $2,000 in replacement of lost or stolen documents, up to $2,500 in traveling expenses, up to $6,000 in lost wages, up to $6,000 in elderly and child care, up to $10,000 in fraudulent withdrawals, and up to $1 million in legal services in the event of identity theft. LifeLock provides reliable customer service by giving customers access to 24/7 live member support agents. The company will notify customers (via alerts) of potentially fraudulent activity and will help customers determine how to handle the situation. LifeLock will monitor customers' information around-the-clock so customers can rest with a peace of mind. LifeLock's website also provides a list of helpful identity theft protection advice and educational resources (regarding credit reports, credit score monitoring, social security cards, credit freezes, and personally identifiable information) for customers to access at any time. The identity theft protection company offers a 60-day complete money-back guarantee to annual LifeLock account members that request a refund within the appropriated 60 days post-billing. Meanwhile, some other companies in the identity theft protection industry do not offer a complete money-back guarantee with their services. LifeLock's pro-rated refund promise emphasizes the company's confidence as well as its service guarantee. LifeLock offers three identity theft protection options to choose from: the LifeLock Standard plan that costs $9.99 a month, the LifeLock Advantage plan that costs members $19.99 a month, and the LifeLock Ultimate Plus plan that costs $29.99 per month. Best Company visitors can use the promo code "BestCom," to get 10% off of all LifeLock identity theft protection options. Terms apply. These options include social security number and credit alerts. Within the industry, LifeLock's plans are priced at lower rates and allow customers the flexibility to choose how much they want to invest in identity protection services and security. Customers are able to get the LifeLock mobile app that allows them to receive and respond to alerts while on-the-go and easily obtain customer service help through the in-app member services feature. With the LifeLock mobile app, customers can access their credit scores from all three credit bureaus. According to the LifeLock website, the mobile app also includes "dark web activity detection, fictitious identity monitoring, court records scanning, and investment account activity alerts." Overall, the mobile app is an extra feature that helps protect customers from identity theft and identity fraud. In contrast to many other identity theft protection companies, LifeLock does not provide customers with antivirus software to protect sensitive data on their personal computers from identity thieves. Identity thieves often target personal computer systems which means that LifeLock customers will need to pay personal out-of-pocket expenses for additional identity theft protection in regard to antivirus software. 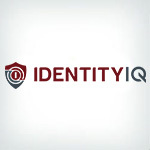 Other companies in the identity theft protection industry offer antivirus software within their standard plan/package to save customers personal expense and to provide further identity protection. LifeLock offers extensive protection services as well as identity restoration services including lost wallet protection to those who have fallen victim of identity theft or fraud. Additionally, the company offers a Million Dollar™ Protection Package and 24/7 live member support customer service. The company's Million Dollar™ Protection Package covers lost or stolen documents, wages, and more. LifeLock also provides educational resources, a money-back guarantee, a detailed mobile app, and reasonable pricing in comparison to other protection services. LifeLock offers three identity theft protection options that can include credit, social security, bank account, credit card, and crimes/other fraud alerts as well as credit report and credit score monitoring and updates from all three major credit bureaus, etc. The one major downside of the company is that it does not seem to provide antivirus software which limits some LifeLock account members from additional identity protection as they would have to pay out-of-pocket expenses to get antivirus software. Above all, if you are looking for a reliable company to help protect your identity and personal information, LifeLock is a great company to choose. *Coverage for lawyers and experts, up to $1 million for all plans, if needed. Benefits provided by Master Policy issued by United Specialty Insurance Company, Inc. (State National Insurance Company, Inc. for NY State members). Policy terms, conditions and exclusions at LifeLock.com/legal. I'm a retired portfolio manager, and I recommend all my family, friends, and past clients use these guys. Love mine. I've got too many assets to protect to go with a company that hasn't been around as long as LifLock. @ Jeff if there is something on your credit report you can file a letter of dispute with any of the 3 credit agencies. Go to their website and look up file a dispute. Good Luck. I subscribed to LifeLock after I learned that somebody used my credit card and bought things in the internet maybe 6+ yrs ago. Really like the alerts I get from them periodically via email informing me whether my info has been compromised or not. or the phone calls I receive when there are unknown suspicious activity. I signed up with LifeLock 2 days ago on their "Ultimate Package" and installed their Iphone app. I didn't know I was going to get my credit score from all 3 bureaus, and I can see my credit score in their app. They provided a full credit report and I found a couple things that shouldn't be on there, but I had no way to dispute or remove those items, but I guess that's probably a different service. Great experience. Had a notification after 3 months of service from some freaking server at Chili's that tried to sign up for an online gaming service!? WAT? THANK YOU LIFELOCK! With someone in the Oklahoma area with the same name, birthdate, and hair color, as me with a criminal record, id protection is very necissary for me. These guys are awesome, and they've been in business waaay longer than anyone else. Nothing but good things to say. Good customer service. The price is cheap whcih is what i need. THe real reason I signed up with these guys is because of the $1million insurance. That seemed to me a no brainer. A ton of insurance in case something terrible happens with my ID. I would like to thank the great state of South Carolina for losing my personal information. I would also like to thank LifeLock for stopping the person who tried to get three credit cards within a two hours using my personal information which South Carolina lost. Just signed up a few months ago. I like the price and I like the fact that I at least have something in place for my identity. The only complaint I have so far is that I get my alerts the next day rather thn the same day. Not sure what the point of that is. But I guess some alerts are better than none. Ok, so I finally bit the bullet and signed up after comparing like 5 different identity theft services. I have to say that I am impressed with Lifelock Ultimate. Hopefully, I won't have to use this service, ya know, but i really think I made the right choice over the other companies, although Trusted Id would have saved me a couple bucks and seemed pretty good too.